We’re coming up on Prince Harry and Meghan Markle’s one year anniversary and we thought this would be the perfect time to share a funny story with you all. 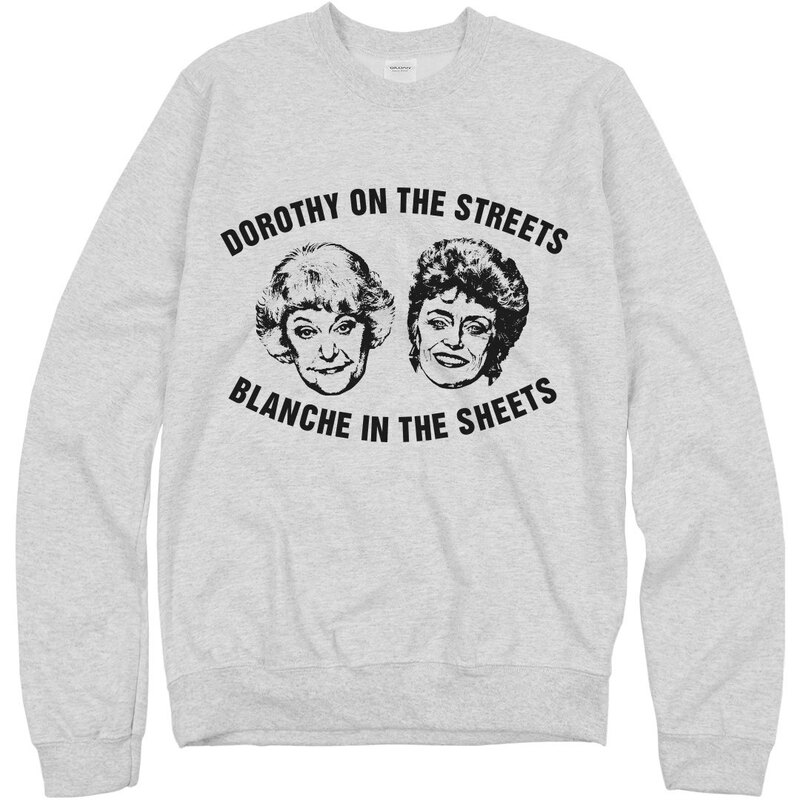 We were doing some year over year analysis of our sales on Amazon and we noticed there was a huge spike in sales for our favorite Golden Girls sweatshirt. That got us thinking…what did we miss? We were curious about whether or not there was something behind this, so we put our millennial skills to the test and did what we do best: internet stalking. We dug around and ended up finding something pretty awesome. Last year in April, a BuzzFeed News article was published about Prince Harry and Meghan Markle. 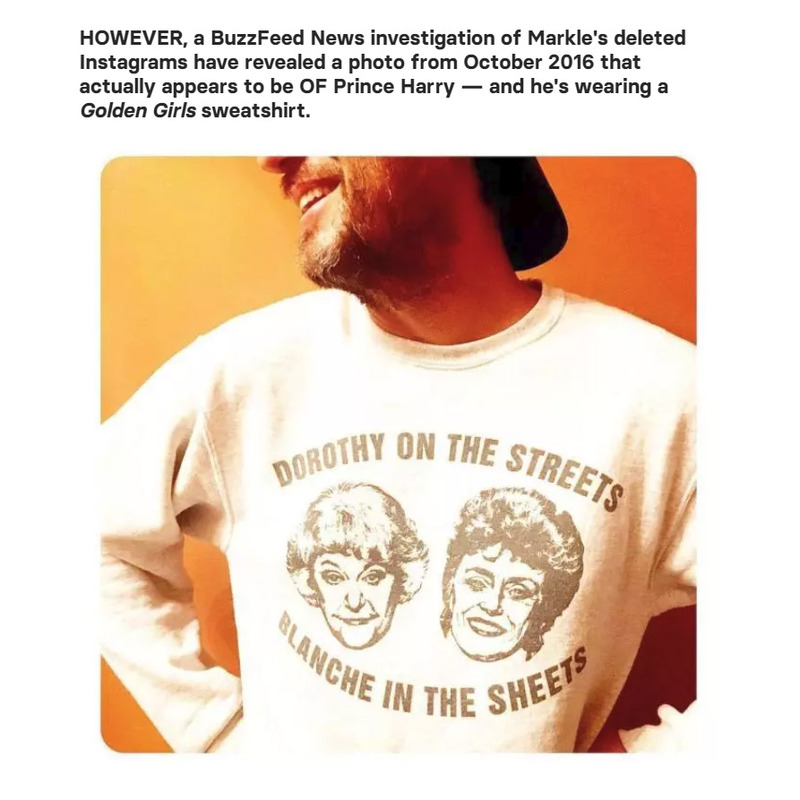 Even better, the article talks about how Prince Harry was spotted on Meghan Markle’s Instagram wearing a sweatshirt that said “Dorothy in the streets. Blanche in the sheets”. Yes, that’s ours! Although Harry’s face isn’t fully revealed in the photo, our fellow investigators got to the bottom of it, and it was confirmed: the man in the photo was in fact Prince Harry. Their relationship was new and they were trying to keep it on the DL, which is not surprising. Basically, we just think it’s hilarious that our Golden Girl’s sweatshirt was actually the very first clue about a possible romance between the two all the way back in 2016. 1. Golden Girls apparel is truly timeless (check out some of our other Golden Girls designs). 2. Even royalty wear sweatshirts.